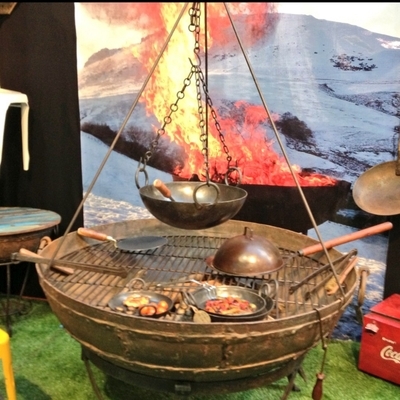 You are here: Home / Products / Amazing Indian Firepits. Our fire pits are available in three sizes. We hope to do a full page on these items which will mainly be available for click and collect due to the postage costs . However please contact us further for more details if you require postage. Accessories to these will also be available online.